Ganesha and Pot 13X12X18cm Water Fountain is a beautifully crafted decorative item. It has a water fountain embedded in it. Constructed from the material polyresin, this decorative piece has a sturdy structure that does not result in breakage easily upon falling. This decorative item comes in the colour gold and has a very ethnic look. The beautiful idol of Ganesha is very intricately designed and all the minute details are astutely crafted. This whole piece has a very beautiful finish, and the shiny polish makes it even more attractive. This item is extremely light weighted and can be easily carried around the room. The water fountain has a smooth functioning and is not considered faulty. The structural and sturdy framework of this decorative piece makes it very durable and resilient to any ruination. The item can withstand the harsh weather conditions and would not resort to quick spoilage of the material. Ganesha and pot water fountain is an intricately designed decorative item that changes the entire décor of a place with its intricate features. It goes very well with the home décor and brightens up the living room or bedroom, wherever it is kept. 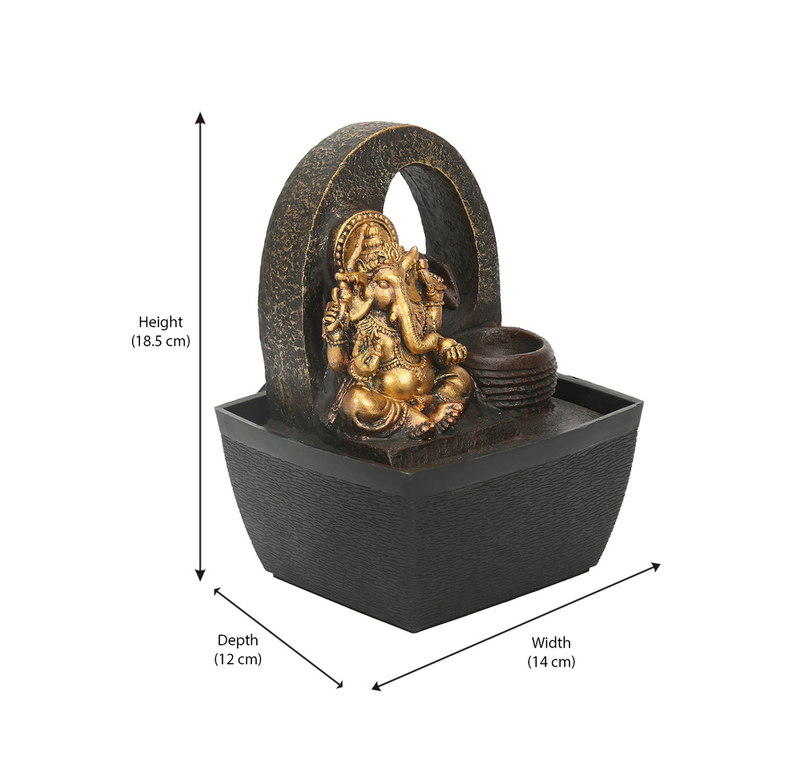 Make your home beautiful with the exquisite Ganesha and Pot 13x12x18cm water fountain @home.